WeSpire is a cloud-based employee engagement platform uniquely designed to enable positive environmental, social, and business impact for the world’s leading companies. The Boston-based company recently won the “Best Doing Good Innovation” award from the Massachusetts Innovation & Technology Exchange (MITX), as well as Environmental Leader’s 2014 Product of the Year. Using persuasive technology that builds awareness, drives behavior change, and measures business results, WeSpire helps companies engage people in sustainability and responsibility initiatives. Its mobile and web platforms empower people to take positive actions at work, at home and in their community. Based on principles of behavioral science that use the power of social norms, game mechanics, and targeted content, the platform increases employees’ ability and motivation to participate. Employees can join projects, take actions, earn points, and set goals for future actions. Points are associated with an action’s environmental impact as well as level of difficulty, and help spark friendly competition and engagement among teams. WeSpire’s platform is built to optimize engagement and includes familiar design aspects from other social media platforms, such as the ability for users to “like”, comment, tag, and post pictures. 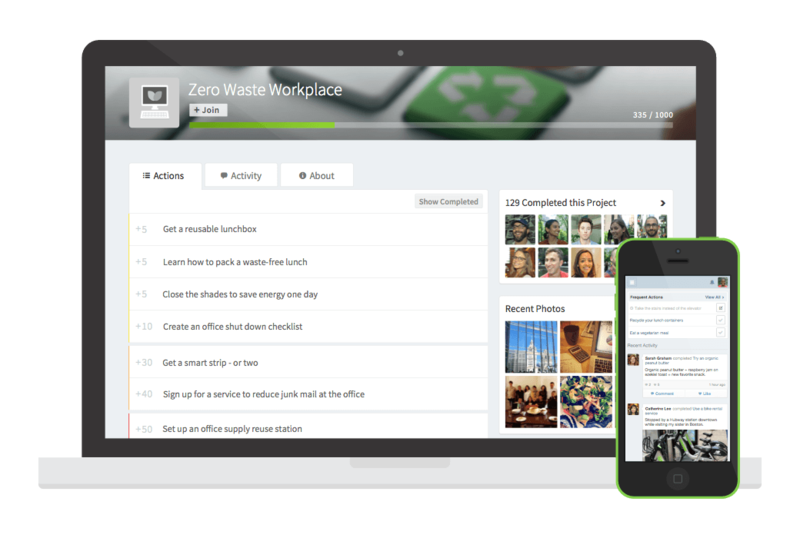 As users take action, the platform tracks and measures the estimated financial, environmental and social impact of employee efforts–the only platform of its kind to do this. Leading global corporations, including Unilever, MGM Resorts International, NBCUniversal, and eBay are leveraging WeSpire’s platform to power sustainability and responsibility engagement programs for their employees and other key stakeholders. Learn everything you need to know about WeSpire. Our experts will reach out to you shortly.